Pictured above is Lieutenant Governor Yvonne Prettner Solon presenting Rosemary’s service award to the State of Minnesota. From 1999-2014, Rosemary served as an architectural advisor to the Board. She reviewed issues directly affecting zoning, planning, development and design within a 60 block area surrounding the Capitol in St. Paul. She advised on projects ranging in scale from signs to Cass Gilbert’s Capitol $270 million restoration currently underway. In the last two years of service, Rosemary advised on over $400 million in projects. She served as juror and jury chair for a number of national competitions, and on selection committees for architects and contractors for projects in the area. 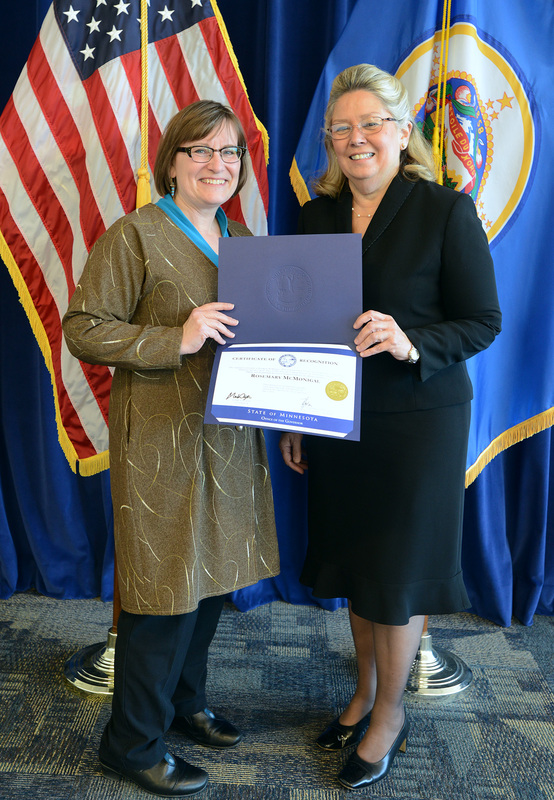 She regularly worked with the Lieutenant Governor, State senators and representatives, city of St. Paul officials, and board members. 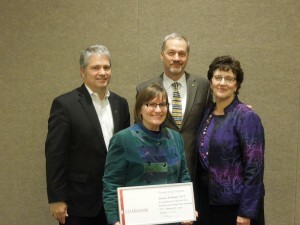 Presenting the award to Rosemary is Tim Dufault, AIA (AIA MN president 2015) Tom Hysell, AIA (AIA MN president 2014), and Beverly Hauschild Baron (AIA MN Executive Vice President).